France's most famous children's underwear line. 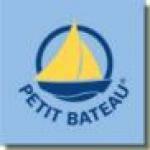 Love petit bateau. Used to wear it as a child and made sure my kids did as well. Who knows my grand children might also wear it.